Photo courtesy Leslie Kendall Dye. This article is available in print in our special inspiration issue of nanny magazine, available here. supplies are limited. Become a subscriber today to keep the feeling of inspiration alive. 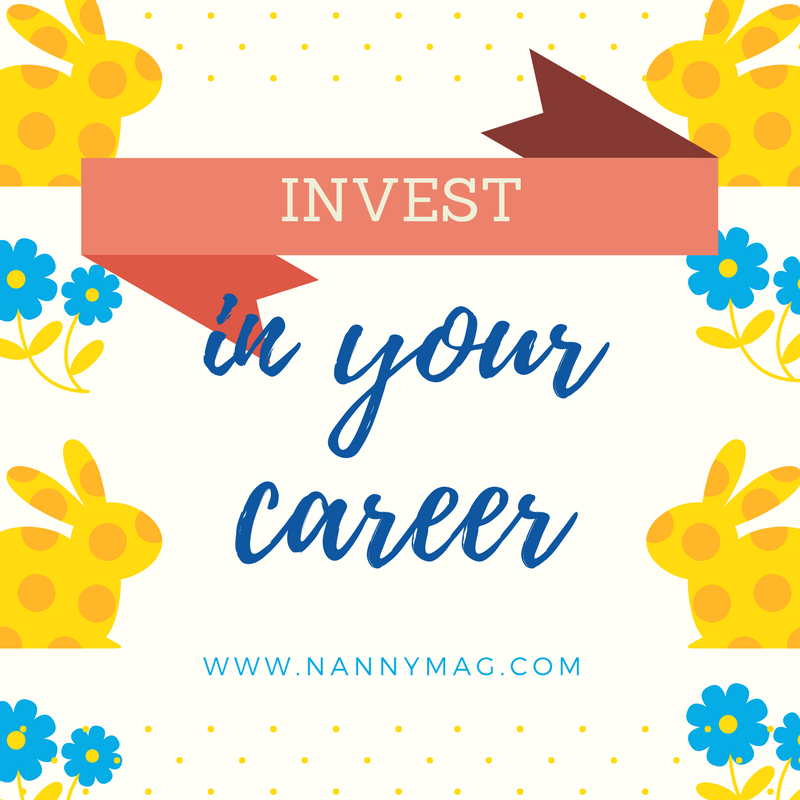 Nanny Magazine is the ONLY magazine just for nannies. Yesterday, I took my toddler to a playground in Central Park. Spring had arrived late and the array of brilliant tulips and daffodils blinded us. I tried to make myself comfortable on the splintery ledge of the sandbox. Tulips or no, the playground is one of my least favorite places in the world. That is because for ten years, it was my office. 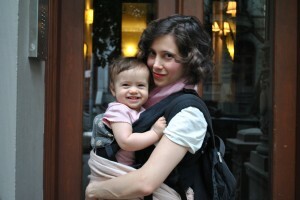 I worked as a part-time nanny in Manhattan for a decade. I am an actress and it made for a good side job. I stopped working after my first trimester, felled by relentless morning sickness and early contractions. Caring for children, as any nanny knows, is a full-body sport, requiring both high-alert readiness and Zen-like patience. I was unfit for duty by 13 weeks of gestation. I spotted a playmate of my daughter’s with her nanny, whom I’d never met. I greeted her, identifying myself as a friend of the girl’s mother. The nanny nodded politely but stiffly. Then I used my secret pass code: I added, “I was a nanny for ten years!” I watched her face brighten and a wave of relaxation pass through her body. The brick wall between us tumbled down. Once we started chatting, she asked me the question. Every young nanny asks me the question. We were speaking the same language. This was something I couldn’t talk about with the other mothers. From the time our babies were newborns, none of the other mothers could believe how hard it was. I didn’t relate. There was plenty that was new to me, like nursing or not being paid at the end of the day, or that there was no end to the day. But in general, nanny skills are parenting skills. We learn to stay physically and emotionally attentive while finding a mental escape hatch during, say, a tea party more tedious than any grown-up can bear. We learn to be strong: heaving tired bodies in and out of strollers, bending to clean up spills with a child balanced on our hip, diaper-changing athletic squirmy toddlers. We let go of notions of achieving other tasks in a day. Dishes, laundry… we know that it will all be cared for at nap time (unless we need a nap ourselves, in which case these chores will have to wait). We know how to really enjoy a few minutes of quiet when the baby falls asleep. I had spent so many nights stroking a child who was homesick for her parents, promising to stay by her bedside until their taxi brought them home, telling her stories to make the time go by. I had wrapped so many children in towels after bath time, combed so many curls, read so many stories, hunted for so many teddy bears lost in couch cushions. It was in my muscle memory to cradle my own child and assuage her anxiety from the moment she was born. The immediate engulfing love I felt for seven pounds of wet baby delivered into my arms one perfect autumn day: I was not prepared for that. I was prepared with the stamina to deliver on my promise to be there for her, to match that ferocious love. I have made more friends of nannies since becoming a mother than I have of other mothers. I like them more, for the most part. I can’t relate to someone who is shocked that one hour can feel like ten with a child. And to hear a mother complain about the cost of a nanny! After all their expressions of exhaustion, how can parents not know how hard a job their nannies have? “No. It doesn’t ruin it at all,” I told this young nanny in the sandbox. “It makes it better. You have the stamina that your friends won’t. You know what to expect. You will not be surprised by your day being dictated by the ups and downs of a child’s moods. Then there’s the stuff you won’t be prepared for, and that stuff is even better. Nothing is more heavenly than curling up with your own baby after nursing her to sleep. Compared to the uninitiated, she had nothing to fear, and so much to look forward to.